Today only, Fans Edge is offering free sitewide shipping with no minimum purchase required with coupon code SHIPSFREE. Be sure to check out their NCAA Clearance and save on all your favorite college fan gear, apparel, collectibles, and more with prices starting at only $0.99. Fans Edge is having a Buy More, Save More Sale and offering an extra 15% off $30 or more orders or 20% off $50 or more orders with coupon code PIGSKIN. Also, free shipping is included with this code. Sale ends Saturday night. Today only, Fans Edge is offering free sitewide shipping with no minimum purchase required with coupon code SHIPSFREE. Be sure to check out their NCAA Sweatshirts & Fleece Sale and find thousands of your favorite college team apparel starting at only $9.99. Today only, Fans Edge is offering free sitewide shipping with no minimum purchase required with coupon code SHIPSFREE. Be sure to check out their sale sections and save on all your favorite NCAA, NFL, MLB, NBA, and NHL fan gear, apparel, collectibles, and more. Today only, FansEdge.com is offering free sitewide shipping with no minimum purchase required with coupon code SHIPSFREE. You can use this deal with all sale items, including up to 83% off over 8,500 NCAA Clearance Items starting at only $0.99. FansEdge.com is having a 48-Hour Flash Sale and offering an extra 25% off all orders sitewide with coupon code GRIDIRON. 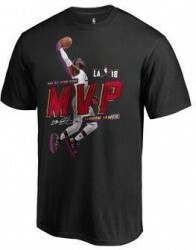 Save on all your favorite NCAA, NFL, MLB, NBA, and NHL fan gear, apparel, collectibles, and more. Offer ends Monday night. Today only, FansEdge.com is offering free sitewide shipping with no minimum purchase required with coupon code SHIPSFREE. 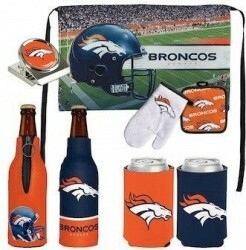 Be sure to check out their over 1,800 hot Tailgate Picks starting at only $0.99. 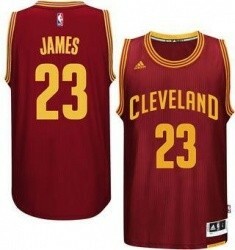 Save on all your favorite NCAA, NFL, MLB, NBA, and NHL fan gear, apparel, collectibles, and more. Today only, FansEdge.com is offering free sitewide shipping with no minimum purchase required with coupon code SHIPSFREE. Be sure to check out their NCAA Sideline Gear Sale with hundreds of college team gear, clothing and accessories starting at only $5.99. Today only, FansEdge.com is offering free sitewide shipping with no minimum purchase required with coupon code SHIPSFREE. Be sure to check out their NCAA Clearance Sale and save on thousands of items including all of your favorite college fan gear, apparel, collectibles, and more with prices starting at only $0.99. Today only, FansEdge.com is offering free sitewide shipping with no minimum purchase required with coupon code SHIPSFREE. 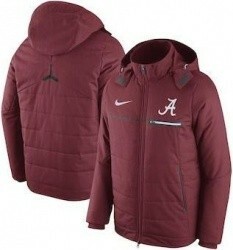 Be sure to check out their big NCAA Clearance Sale with thousands of items including college fan gear, apparel, collectibles, and more starting at only $0.99. Today only, FansEdge.com is offering free sitewide shipping with no minimum purchase required with coupon code SHIPSFREE. 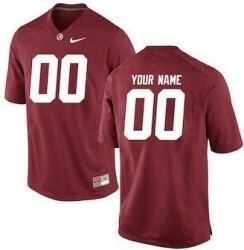 Be sure to check out their NCAA Jerseys Sale and find hundreds of jerseys for the family starting at only $14.99. FansEdge.com is having a 2-Day Sale and offering free sitewide shipping with no minimum purchase required with coupon code SHIPSFREE. Be sure to check out their sale sections and save on all your favorite NCAA, NFL, MLB, NBA, and NHL fan gear, apparel, collectibles, and more. Offer ends Monday night. FansEdge.com is having a Flash Sale and offering an extra 25% off all orders sitewide with coupon code BASEBALL. Some exclusions apply - see site for details. 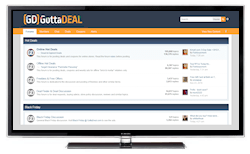 Save on your favorite NCAA, NFL, MLB, NBA, and NHL fan gear, apparel, collectibles, and more. Sale ends Wednesday night. Today only, FansEdge.com is offering free sitewide shipping with no minimum purchase required with coupon code SHIPSFREE. Be sure to check out their sale sections and save on all your favorite NCAA, NFL, MLB, NBA, and NHL fan gear, apparel, collectibles, and more. Today only, FansEdge.com is offering free sitewide shipping with no minimum purchase required with coupon code SHIPSFREE. Be sure to check out their MLB Sale and save up to 90% off on all your favorite team's fan gear, apparel, collectibles, and more. FansEdge.com is offering free sitewide shipping with no minimum purchase required with coupon code SHIPSFREE. Be sure to check out their NCAA Sale and save on over 17,000 items including college fan gear, apparel, collectibles, and more starting at only $0.99. FansEdge.com is having a 2-Day Sale and offering an extra 25% off your order with coupon code SUNNY25. Some exclusions apply, see site for details. 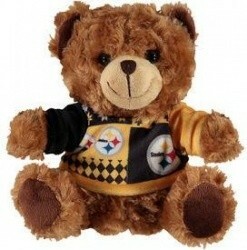 Save on all your favorite NCAA, NFL, MLB, NBA, and NHL fan gear, apparel, collectibles, and more. Offer ends Wednesday night. FansEdge.com is offering free sitewide shipping with no minimum purchase required with coupon code SHIPSFREE. Be sure to check out their sale sections and save on all your favorite NCAA, NFL, MLB, NBA, and NHL fan gear, apparel, collectibles, and more. Offer ends Monday night. Today only, FansEdge.com is offering free shipping on all orders with no minimum purchase required with coupon code SHIPSFREE. Be sure to check out their NBA Clearance Sale with over 6,400 NBA items including fan gear, apparel, collectibles, and more with prices starting at only $1.99. FansEdge.com is offering free shipping on all orders with no minimum purchase required with coupon code SHIPSFREE. Be sure to check out their MLB Clearance Sale with over 8,500 MLB items including fan gear, apparel, collectibles, and more with prices starting at only $2.00. 12-hours only! FansEdge.com is having a Flash Sale and offering 25% off all orders sitewide with coupon code SWISH25. 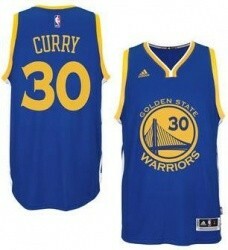 Save on all your favorite NCAA, NFL, MLB, NBA, and NHL fan gear, apparel, collectibles, and more. Offer ends tonight at 11:59pm ET. Today only, FansEdge.com is offering free shipping on all orders with no minimum purchase required with coupon code SHIPSFREE. Be sure to check out their giant NBA Sale and save on all your favorite NBA fan gear, apparel, collectibles, and more with prices starting at only $1.99. Today only, FansEdge.com is offering free shipping on on all orders with no minimum purchase required with coupon code SHIPSFREE. Be sure to check out their huge NBA Sale with up to 87% off over 5,000 items including all your favorite fan gear, apparel, collectibles, and more. Today only, FansEdge.com is offering free shipping with no minimum purchase required when you apply coupon code SHIPSFREE. Se sure to check out their sale section and save up to 70% off on all your favorite NCAA, NFL, MLB, NBA, and NHL fan gear, apparel, collectibles, and more. Today only, FansEdge.com is offering free shipping with no minimum purchase required with coupon code SHIPSFREE. Be sure to check out their NFL Clearance Sale and save up to 70% off over 7,000 items with prices starting at only 99 cents. FansEdge.com is having a 2-day sale and offering free shipping on all orders with no minimum purchase required with coupon code SHIPSFREE. 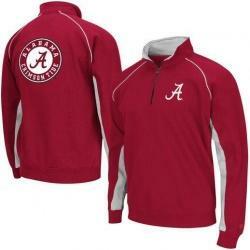 Be sure to check out their great selection of Team Sweatshirts & Fleece with thousands of styles from all your favorite NCAA, NFL, MLB, NBA, and NHL teams and more with prices starting at only $5.99. 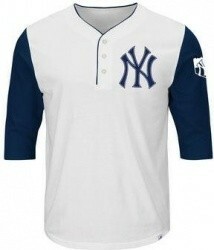 FansEdge.com has the Majestic MLB Big Time Fan Raglan Three-Quarter Sleeve T-Shirts, Choice of Teams for $36.79. Free shipping is also included with this deal when you apply coupon code FS30. Deal ends Sunday. FansEdge.com has their Ugly Sweater Sports Bears in you choice of NCAA, NFL, MLB or NHL teams for $10.36 each when you apply coupon code SKILLS. Free shipping is also included with this deal. Deal ends Friday at 9 am ET. 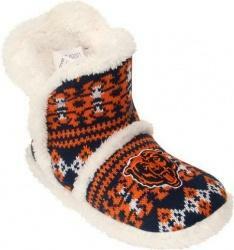 FansEdge.com has a selection of Women's NFL Sherpa Boot Slippers, with many teams to choose from, starting at $23.96 when you apply coupon code DIVE, giving you 20% off any order. Also, free shipping is included on all orders when using this code. Deal ends Friday at 9 AM EST. 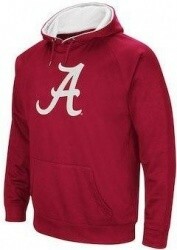 FansEdge.com has the NCAA Colosseum Crest Men's Quarter Zip Pullover Sweatshirt in your choice of teams for $44.76. Free shipping is also included with coupon code FS40. FansEdge.com: Sizzling Summer Clearance Sale! Plus an Extra 20% Off! FansEdge.com is having a Sizzling Summer Clearance Sale! Plus an Extra 20% Off! (Discount applied automatically during checkout.) Score red hot savings on all your fan gear! Get free shipping on orders of $75 or more. Hurry for the best selection, this is a limited time sale! FansEdge.com has the complete selection of the brand new Brett Favre official Minnesota Vikings jerseys starting at $44.99 for kids sizes and up to $109.99 for the "premier" jersey. 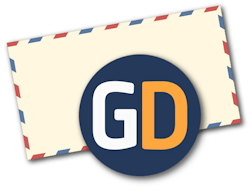 Get $4.99 flat rate shipping. Get 10% off with coupon code FENCAA09 as well!